Just in case there is any confusion, this is a Class II bike lane. It’s also the “compromise” that Jim Walden, Louise Hainline, and others speaking on behalf of Neighbors for Better Bike Lanes have proposed. 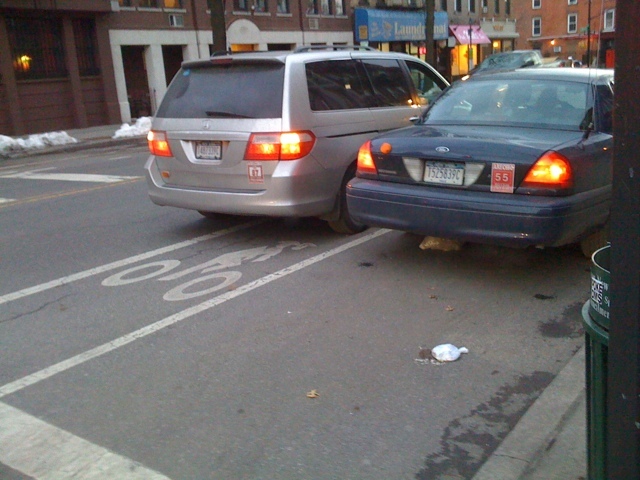 Would you want your kids riding in that bike lane? Come to the CB6 hearing tonight to make sure the street stays safe.